MerchantCircle | Blog: How Do You Use MerchantCircle? If you haven't checked recently, one of the newlyly created MerchantCircle Forum threads is "How-To-MerchantCircle." It's an excellent forum for trading ideas on the best way to utilize all the features of your MerchantCircle listing. You can also find how-to guides here, which includes adding a photo, publishing a coupon, creating a blog, creating an ad, amongst others. 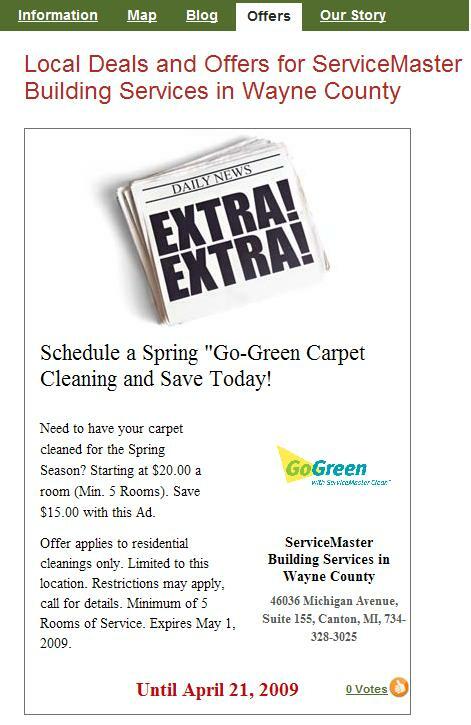 MerchantCircle Moderator Monica Ross-Williams of ServiceMaster Building Services in Wayne County recently posted about one of our newest features in a thread titled, "How to Use the New Cool 'Create a Sale Feature' on M.C." Thanks for the great advice, Monica! Read the whole thread and discussion here. Creating a Sale is perfect when highlighting a 1/2 off sale, or a red tag special, or even a weekend special. There's many, many other gems to be found in the forums. For a list of next month's new features, be sure to periodically check into the MerchantCircle Forum thread "MerchantCircle Product Suggestions."